One rooftop at a time! 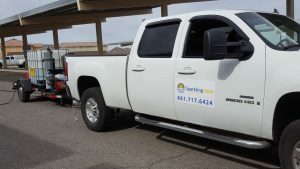 Sparkling Solar Cleaning has been providing Bakersfield and Kern County residents, businesses and commercial buildings with our expert solar panel cleaning and maintenance programs. We are also the company that most Bakersfield solar installation companies hire and contract to clean and maintain their leased solar panels. For more information call us at (661) 717-6424. Sparkling Solar offers routine maintenance services to ensure you get the most out of your solar panels and protect your investment. We are able to inspect and identify problems, hazards or even potential hazards. In most cases we can correct and rectify the situation before it becomes an expensive problem. Nothing in this world is maintenance free and your solar panels are no different. 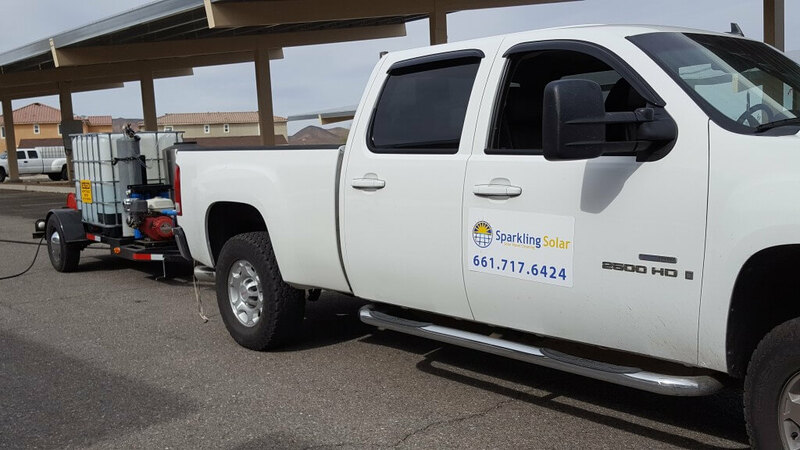 Sparkling Solar always performs a maintenance inspection prior to doing any solar panel cleaning services, this is a must! Our methods are custom designed for the solar panel cleaning industry, and we have up front cost with no hidden fees!! Solar cleaning services are extremely important to solar efficiency in California and especially in Kern county. The high pollutant, dust, and pollen in the air can land on solar panels causing solar panel shading. Resulting in lost energy and means lost money. Lets put your money back in your pocket and call Sparkling solar to schedule a solar panel cleaning. Call us now at (661) 717-6424.